Heavy Fire: Shattered Spear adalah sekuel Heavy Fire: Afghanistan yang mengirimkan tentara setelah mata-mata ditangkap karena memegang rencana untuk fasilitas senjata nuklir Iran rahasia. 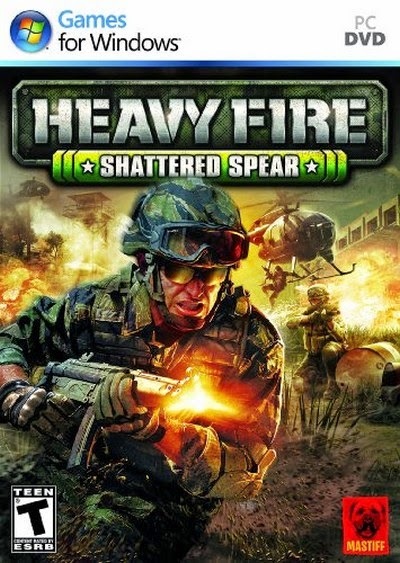 Heavy Fire: Shattered Spear is the sequel to Heavy Fire: Afghanistan that sends soldiers after a captured spy who holds the plans to a secret Iranian nuclear weapons facility. 3 Responses to "Heavy Fire Shattered Spear Single Link Iso Full Version"
this application has failed to start because XINPUT1_3.dll was not found. Re-installing appllication may fix this problem. terima kasih atas sarannya, saya coba dulu install direct x nya.